Scuba Diving – Again, literally dive in to your vacation adventures, and book a scuba diving trip to any of the amazing sites, with one of the numerous outstanding scuba operators. Maybe go to the incredible reef at Cabo Pulmo National Marine Reserve, or check out the many cool dive sites near the Famous Arch like Neptune’s Finger, Pelican Rock and the Sandfalls. Hiking La Sierra – Plan a day trip or overnight camping and hiking to the Sierra La Laguna mountain range. This is also a National Reserve Park and there are many outfitters online that provide great camping and hiking packages to these pristine mountains. There are some itineraries that include donkeys to carry your supplies, if you plan to do a multi-day trip, to the top valley and sleep in the log cabins. Whale Watching – It’s that wonderful time of the year when the whales pass by Cabo, so why not take a short airplane trip to one of these beautiful bays where the whales arrive. Or also take a few hours boat tour past the Arch where you may also sight and observe them. For sure, one of the most majestic activities you can do here. Kite Boarding in La Ventana – One of the world’s top spots for kite surfing is here in Baja. Just south of La Paz, in the East Cape, you can find the famous La Ventana community where this activity is a big part of the lifestyle there. 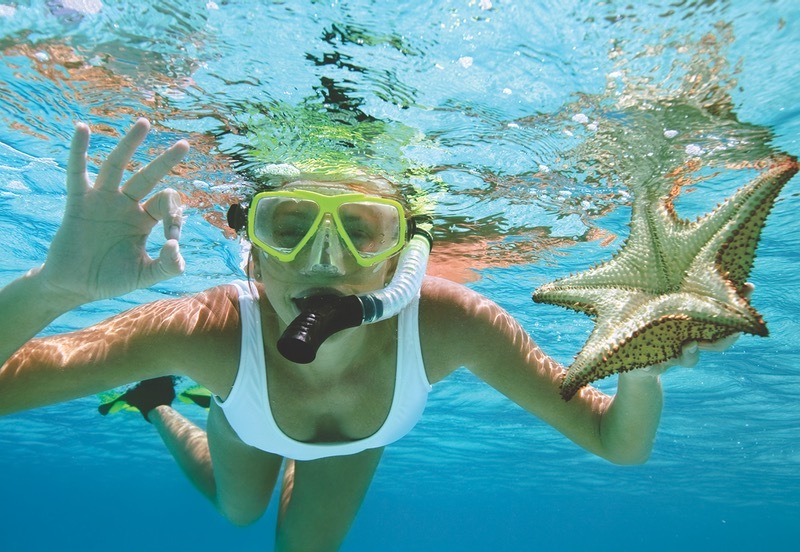 Snorkeling – Such an accessible and super fun thing to do, and Cabo has some fantastic beaches where it is perfect. Some top choices are Chileno Reef, Santa Maria Bay, Pelican Rock and of course Cabo Pulmo. Kayaking – Ocean kayaking is one of my favorite things. I fell in love with Baja when I was doing kayaking tours many years ago. Some of my recommendations would be to do a trip from Medano Bay to Lover’s Beach or from Santa Maria to Chileno Reef or from Cabo Pulmo Bay to La Sirenita Beach. In the first trip you can also check out the Arch and snorkel at Pelican Rock. In the second trip you might spot whales and you can snorkel at both Chileno and Santa Maria. And in the Cabo Pulmo kayaking trip you can snorkel at Sirenita Beach, which is one of my favorite snorkeling spots, and I think you will also really love it. Surfing – You can’t go home without doing some surfing in Baja. Here in DESTINO Magazine you can find a list of the surf breaks around. All of them are amazing and range in all different types of waves. But for learning to surf, the top beaches are Cerritos Beach in the Pacific Side and Acapulquito Beach in San Jose del Cabo. Skateboarding – There are two great bowls around I would like to suggest. One is in Pescadero town on the Pacific Side, and the other is on the main highway in downtown San Jose del Cabo. So, if it’s a flat day on the waves, check out these parks. Sailing – Head out from Cabo San Lucas Marina or Puerto Los Cabos Marina and enjoy a wonderful day sail where the Pacific Ocean meets the Sea of Cortez. Some stops for snorkeling at Santa Maria Bay or Chileno Reef are the perfect addition to your sailing adventure. Fishing – As you know, the sport fishing here in Cabo is amazing. One of the cool things is you can check out the Arch on your way to fishing. And of course, have a great dinner if you get lucky. Jet Skiing – Checking out the Arch is something that everybody has to do while visiting here. So, renting a jet ski at Medano Bay might be an ideal way to do it and the most fun too. ATV’s – Go off roading into Baja’s canyons and sand trails. Just a few minutes from Cabo San Lucas or San Jose de Cabo are many ATV and buggy operators that run exhilarating tours. All kinds of terrain can be encountered so it is a great way to go into Baja’s wonderful nature. There are also some operators that run Motocross and Enduro trips too. Water Toys – While in Cabo, you for sure have to get in the water. There are many fantastic options now to choose from. One very popular activity is fly boarding. There is also a cool jungle gym island with slides into Medano Bay. Perfect for the family or all your friends. Zip Lining – For sure one of the best ways to check out Baja’s desert landscapes. There are many operators to choose from, but any of them offer magical and safe adventures. 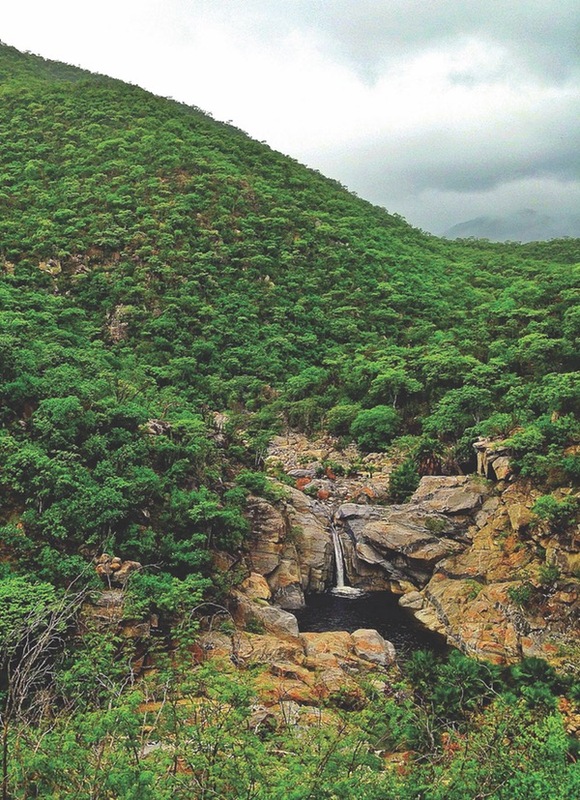 Waterfalls and Hot Springs – Another one of my all-time favorite things to do is to go to Santiago Oasis town, just an hour north from San Jose del Cabo, and drive into the mountains to the famous Fox Canyon waterfalls. There are also relaxing hot springs in the area, just ask a local resident of Santiago the directions. Horseback riding – There are really nice places for horseback riding here, like the beach and desert trails. Parasailing – Checking out the Arch while parasailing has got be one of the coolest ways to do it. I would definitely recommend it. Skydiving – If you are really adventurous, the awesome thing about skydiving here in Cabo is that the contrast you see between the ocean blue water and the desert land while you are falling is beautiful. Fossils and Cave Paintings – Reserve a day tour to Las Casitas or San Dionisio where you can observe fossils and cave paintings. For sure it is a very different thing to do while you are here, but very fun too. Bungee – I’ve never bungeed here in Cabo, but I am looking forward to doing it one of these days. I can just imagine jumping off somewhere in a canyon falling with all this amazing nature around me. Count me in! Camels – Maybe do a Camel tour instead of horseback riding this time. It looks very fun also. Wirikuta Spectacle – On a different and final note, maybe top off your incredible vacation with a Wirikuta show. This is an amazing production in a magical spot where you can experience a beautiful pre-hispanic dinner show. So get adventurous this year and contact your hotel concierge and they will happily assist you with participating in these amazing activities. Have a safe and fun time, and thanks for visiting Cabo. I wish you a wonderful 2018!